Our colleagues over at Environment and Planning D: Society and Space recently published a virtual issue entitled ‘Boys town redux’. The title comes from a Society and Space essay published in 1991 by the art historian and critic Rosalyn Deutsche. ‘Boys town’, an extended – and embattled – review of David Harvey’s The Condition of Postmodernity, posed some intractable questions about feminist critique, among other things. So Deutsche argued, “the problem that feminism introduces into urban studies [and geography more generally] is not…how to add something that is missing – either feminist analysis or the topic of gender relations – to existing social theory” (p.8) – what she called ‘me-too-ism’ – but, rather, “the demand that the field examine its own politics and problems…” (p.8). Feminist critique, she suggested – and this contention is the point of departure for Society and Space’s virtual issue – is not only about the study of ‘women’ but also about the politics of knowledge itself; not only about examining ‘gender’ but also about knowledge production, the construction of categories and concepts, disciplinary values, and so on. Deutsche was one of many scholars articulating these matters of concern at what was – to borrow Linda McDowell’s words – “a profoundly self-reflexive moment in human geography” (1992: 56). The debates which animated it had little regard for traditional disciplinary boundaries, and discussions moved promiscuously between the pages of different journals. 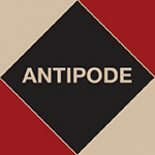 In collaborative spirit we’d like to (re)present here some of the interventions which appeared in Antipode at the time, as well as some later pieces which contribute to the conversation. Society and Space’s editors, it seems to us, are quite right to dust off and reassert the question of feminist critique; to ask again what it means and why it matters. 20 years may have passed since ‘Boys town’, and yet those questions – questions of “feminism’s difference from other social analyses, its internal differences, and its theories of difference” (p.7) – remain apposite. We begin with Susan Christopherson’s ‘On being outside “the project”’ from 1989. In it she speaks movingly of a shared feeling of “…alienation from methods and definitions” (p.86), from given and inherited categories and concepts with which women and others traditionally excluded from academe are directly confronted. She describes “the growing political consciousness of people concerned with the experience of gender, race and class, who feel they have to move outside…[dominant] discourses in order to develop theories consonant with their experience” (p.88). Linda McDowell’s (1992) ‘Multiple voices: Speaking from inside and outside “the project”’ carefully explores similar questions: “…feminists are asking ‘Is it possible to use for emancipatory ends current theories and methods that are so imbued with western, bourgeois, and masculine projects?’…how are feminists (within and outside geography) to use or appropriate the sorts of theories of human nature, language, the self, and politics that have been produced by male Western thinkers? Should we appropriate these theories while recognising their blindness to gender? Or should we try to develop autonomous feminist theories that reject earlier traditions?” (p.56-57). Whatever the answer, McDowell notes, there’s still the question of the kind of criticism to be employed: “We have recently witnessed in geography both senior and less senior women ‘go for’ male colleagues in typically ‘masculine’ ways – disturbing to all of us who are arguing or hoping for a different and more supportive form of social interaction within the academy. Whatever the merits of different sets of arguments, it seems to me that a brutal and combative oppositional stance serves only to polarise debates in an unhelpful manner” (p.70). A Women and Geography Study Group report by Jan Penrose, Liz Bondi, Linda McDowell, Eleonore Kofman, Gillian Rose, and Sarah Whatmore, ‘Feminists and feminism in the academy’, develops this point, questioning “…the entrenched masculinist tendency for new reputations to be built through the rejection of work that has come before. Within feminist geography, this introduces a profound and frightening paradox in which new perceptions of feminism within academia use conventional (‘male’) practices of critical annihilation to make room for themselves…the development of new ideas in feminism too frequently uses the tools of the power structure that it purports to dismantle…” (p.219). This is a key part of the feminist project as they see it: launching a challenge which is not only ‘theoretical’ but also ‘epistemological’; not only modifying a realm of knowledge but also doing and articulating knowledge differently (see p.231). These questions and many more are explored in the papers that follow – all of which are freely available until 23 June 2012. We have the target of Deutsche’s criticisms, David Harvey, offering some thoughts on the ‘situatedness’ of all knowledge and what this means for the practice of theory. Geraldine Pratt presents a ‘personal account’ of a research project in which she reflects on the role played by socialist feminism and poststructuralist theory. Patricia Price-Chalita’s intervention contributes to what was a fertile conversation between feminism and postmodernism, examining the use of spatial metaphors in a number of texts. Vera Chouinard and Ali Grant return us to Susan Christopherson’s question of who constitutes ‘the project’ of radical geography, identifying a number of symptomatic silences – silences which signify some notable exclusions in a discipline struggling with the politics of knowledge construction. Radical political economy meets feminism in Melissa W. Wright’s ethnography of how women are represented – and how they struggle to represent themselves; resisting dominant discourses, transforming subject positions – in the Mexican maquiladora at a time of great change. In her contribution to a symposium on David Harvey’s Justice, Nature, and the Geography of Difference, Iris Marion Young offered typically sage meditations on questions of universality, similarity/difference, justice, and what she calls ‘being together’, as she reflects on the politics of coalition building. Liz Bondi and Mona Domosh provide a feminist analysis of the production of public and private space; casting new light on what is often called the decline of the public sphere, they demonstrate its links with a particular ‘feminisation’ of space. Liza Tonkin’s contribution to the ‘labour geography’ literature demonstrates clearly how a sensitivity to gender means not just ‘adding women’ to an already existing problematic but, rather, a thoroughgoing transformation of research – one which seriously challenges definitions, methods, etc. hitherto taken to be axiomatic. Continuing her conversation between Marxism and feminism, Melissa W. Wright returns to the question of the representation of women in Mexico as a material force (for good and ill), contributing insights on the politics of coalition building which speak to a number of the pieces included here, not least Young’s and Tonkin’s. First presented as the RGS-IBG Antipode lecture, Cindi Katz’s paper is an ambitious – albeit self-consciously ‘schematic’ – attempt to theorise social reproduction as a simultaneously political-economic, cultural, and environmental affair. An adequate political-intellectual response to a globalising, ‘vagabond’ capitalism, as Katz sees it, is one with the requisite ‘fluidity and breadth’ to cope with its complexity; if capitalism is a great totaliser, then we need to learn how to make analytical connections between places, connections which hold out the possibility of new forms of praxis. Laura Pulido spins Wright’s thread on with an account of the history of anti-racist organisations ‘rooted in’ anti-capitalist politics in 1970s California, investigating how racial/class experiences are always classed/racialised and what this means for progressive activism. Guest editor Heidi Nast’s special issue, ‘Queer patriarchies, queer racisms, international’ considers white male privilege ‘outside heterosexual confines’, as she puts it – what she calls ‘queer patriarchies’ and ‘queer racisms’. This issue asks some difficult questions, exploring the workings of power within ‘a community’ too often thought to be undifferentiated. Geraldine Pratt’s AAG Antipode lecture looks at ‘abandoned’ women in Vancouver – women forced to live as if the law has been ‘suspended’, women reduced to ‘bare life’. She engages with social theorising insensitive to gender (Giorgio Agamben’s), constructively exploring the challenges feminism poses to it, as well as those it poses to feminism. Finally, and much like Laura Pulido, Linda McDowell turns our attention to what we might call ‘diversity within unity’ – in this case the classed nature of gender and gendered nature of class. Analyses, she suggests, are necessarily complicated in these post-Fordist times as the dualisms of the past no longer hold good. Thanks are due to Society and Space‘s editors, Melissa Wright, and our colleagues at Wiley-Blackwell, especially Rhiannon Rees. This entry was posted on 26 March 2012 by Antipode Editorial Office in Virtual Issues and tagged anti-capitalism, Boys Town, Boys Town Redux, class, difference, epistemology, feminism, feminist critique, gender, justice, knowledge, labour geography, method, poststructuralism, queer, queer theory, race, representation, reproduction, Rosalyn Deutsche, situated knowledge, spatial metaphors, theory.